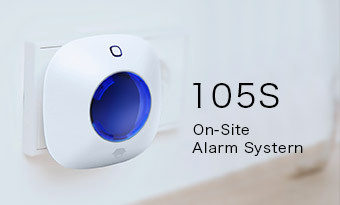 When connected to a smanos alarm system controller and an incident occurs, the S105 siren will go off with the strobe light flashing. For smaller premises, the unit can work as an on-site controller with other accessories, such as remote controls, door/window contact sensors and PIR detectors, on the same radio frequency. Two for one, not a bad deal.